The fight many asked for is now set. 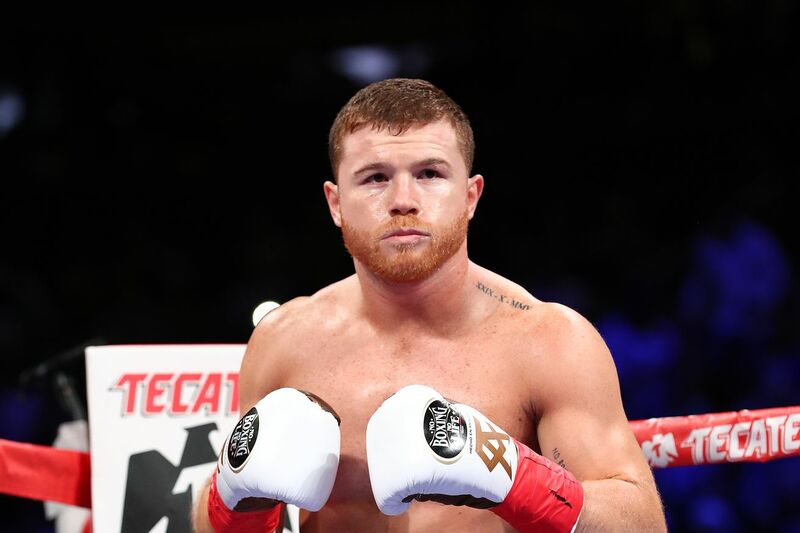 Canelo Alvarez will face Daniel Jacobs on May 4, with the WBA, IBF, and WBC middleweight titles on the line, with Alvarez and DAZN, which will stream the fight in the United States, both making the announcement today on social media. Alvarez (51-1-2, 35 KO) holds the WBA “super world” and WBC middleweight titles, while Jacobs (35-2, 29 KO) holds the IBF belt. This is the fight that many asked to see on May 4, so I’m expecting fans will be largely happy with this announcement. Alvarez, 28, fought twice in 2018, scoring a debated win over Gennady Golovkin on Sept. 15, and then moving up to super middleweight for an easy wipeout of overmatched Rocky Fielding on Dec. 15. Jacobs, 31, also went 2-0 last year, beating Maciej Sulecki on April 28 and Sergey Derevyanchenko on Oct. 27. This is a fight that was publicly turned down by Alvarez’s promoter Oscar De La Hoya in December, as he said Jacobs would not be Alvarez’s May opponent, and that they had “a plan.” But many suspected that plan was David Lemieux, who had to cancel his fight on the Canelo-Fielding undercard due to dehydration trying to make 160 pounds. After that, and with past issues making weight, it would be downright reckless of Golden Boy to try to schedule Lemieux in a major middleweight main event. So Jacobs clearly became the most attractive option, and perhaps the only serious option for a May 4 bout, at least if Alvarez was coming back to 160, which was always the plan. There’s also a trilogy bout with Golovkin, but GGG and his team haven’t officially made their minds up yet about a broadcast partner. Canelo-GGG III may still come in the future, of course, but it’s not happening in May. This is the sort of matchup fans have been wanting to see more of, as Jacobs is a legitimate threat to Alvarez, who is the sport’s biggest active star. On paper, this thing could conceivably go either way. So let’s hear it: who ya got in this one?